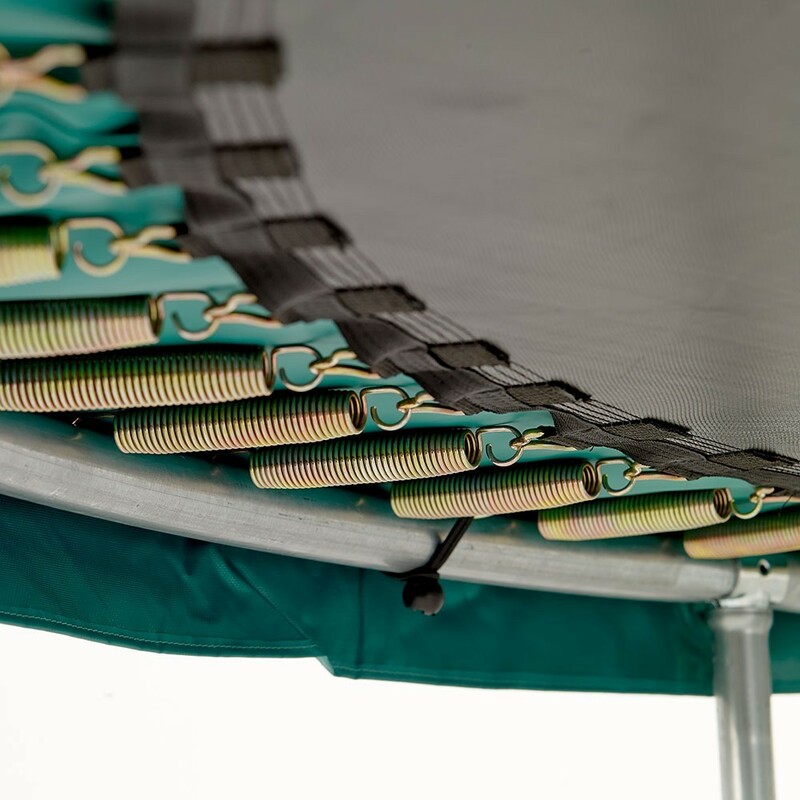 Jumping pad for round trampolines of 3.05 m in diameter with 66 springs of 210 mm long. 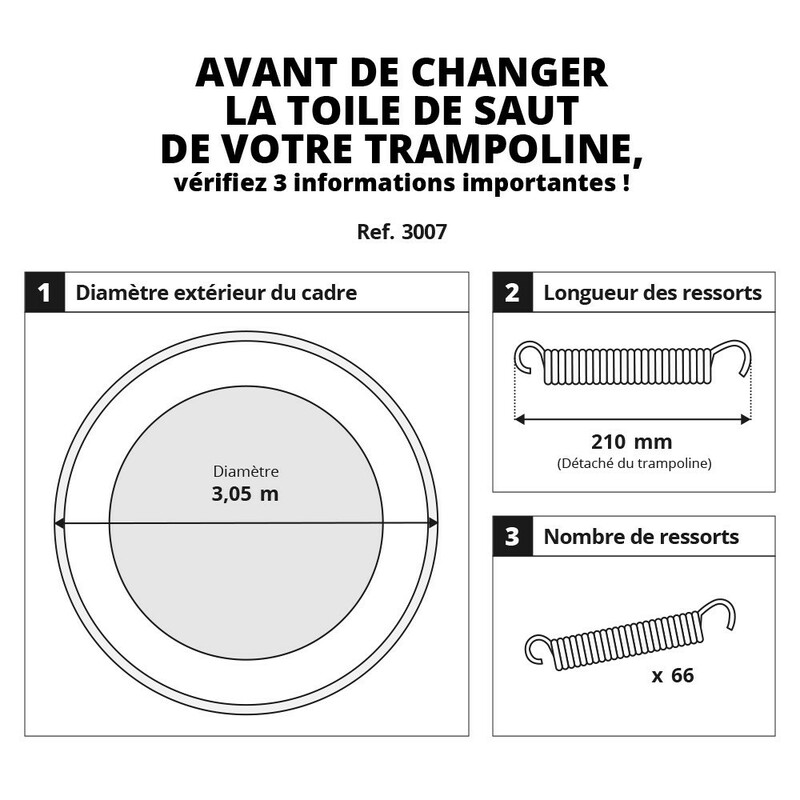 This jumping mat is designed for trampolines of 3.05 m in diameter with 66 springs of 210 mm in length, but it is also compatible with any trampoline from another brand other than France Trampoline with the same characteristics. 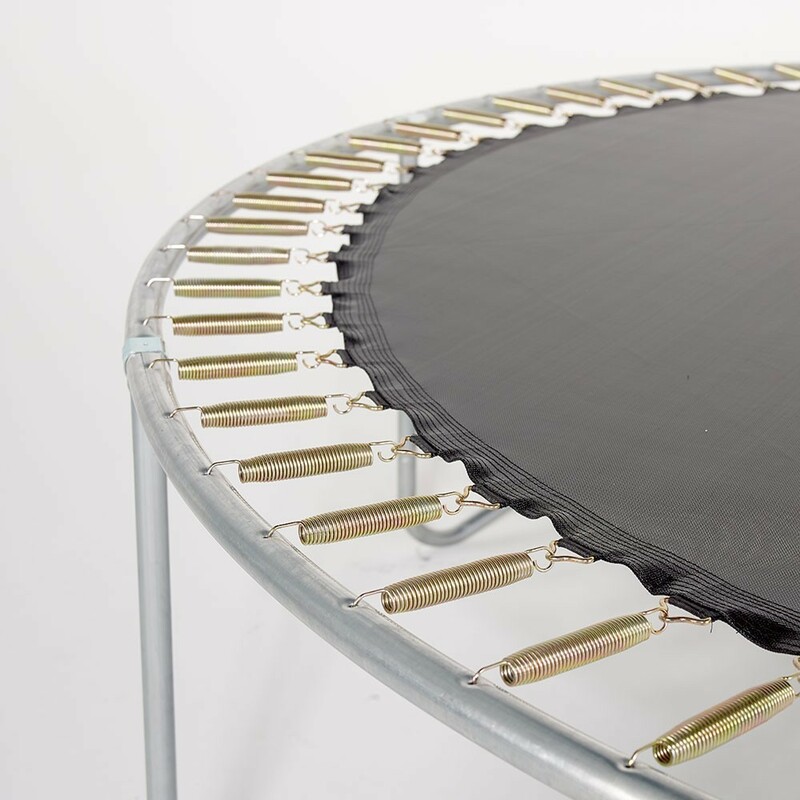 This new jumping mat will replace your damaged one and enable your trampoline to regain its original power. 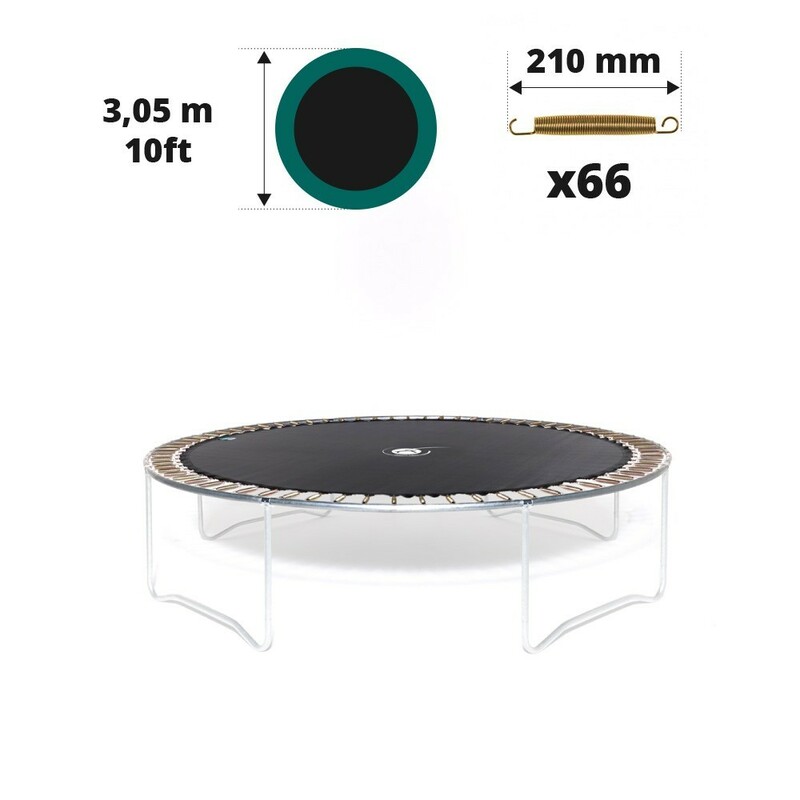 - This jumping pad is adapted to the Booster 300 trampoline, but it can also be used on any round trampoline of 3.05 m in diameter with springs of 210 mm in length. We recommend measuring your trampoline carefully with the help of a second person. 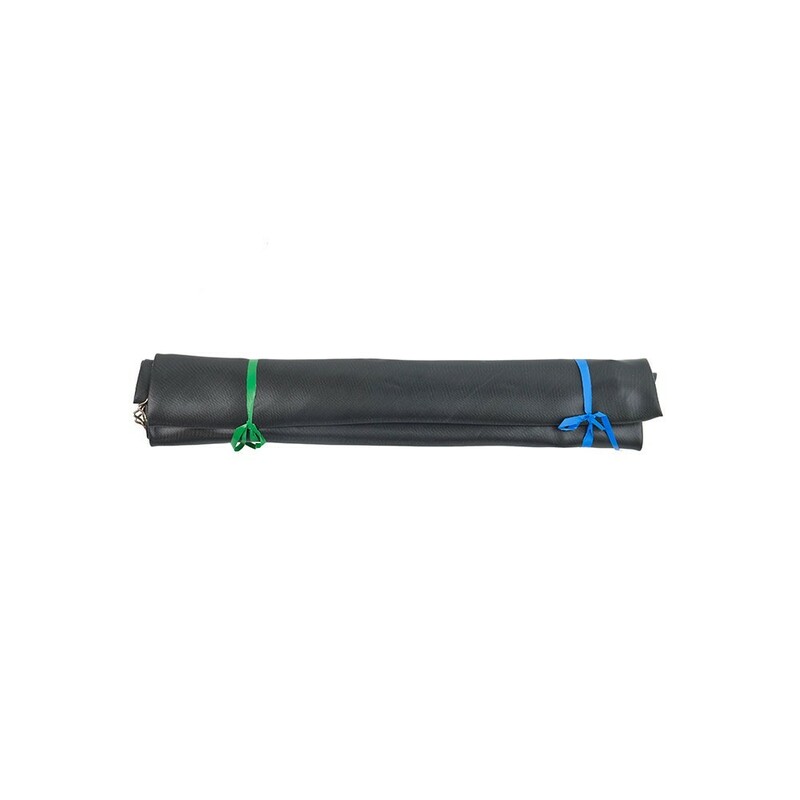 - This jumping mat has been designed using strong high density black mesh. It has been UV protected which will improve durability and protect it from the sunlight. - 8 rows of stitches as well as a reinforcement strip increase the resistance of the jumping mat. It also has triangular rings made of hot-dip galvanised steel to protect them from rust. 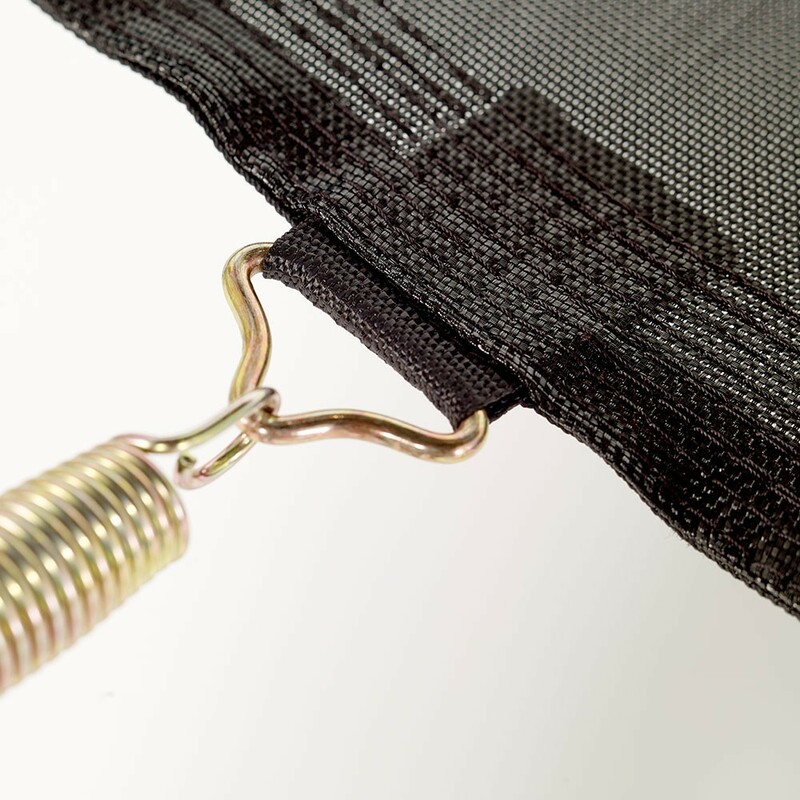 - Make sure you check the size of your springs before you purchase this jumping mat, as it will only fit trampolines with 66 springs of 210 mm in length. 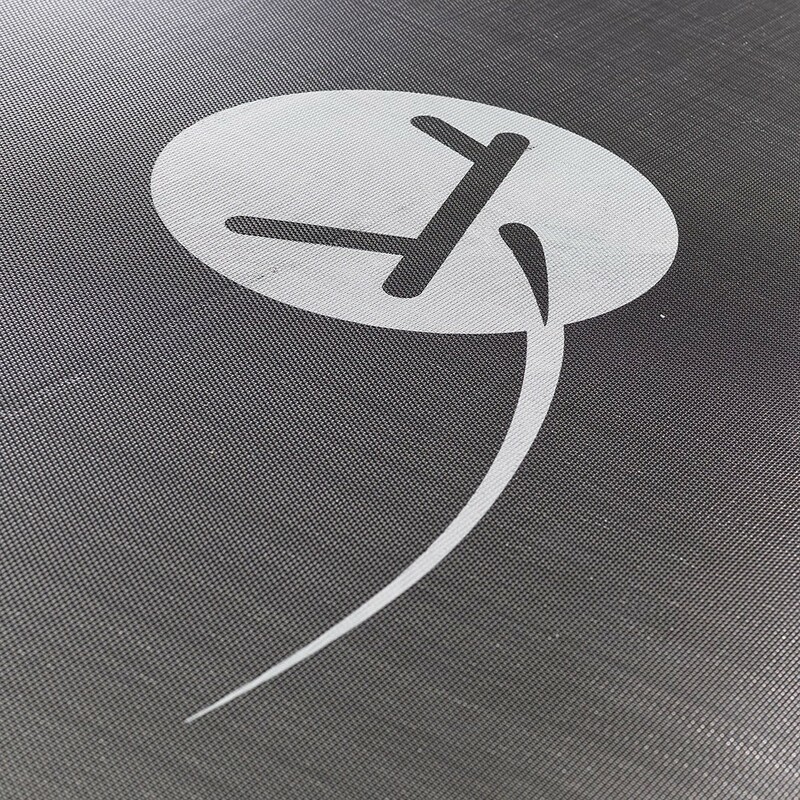 If your springs measure 200 mm and less or 220 mm and more, then this jumping mat will not fit your trampoline. The measurement of your springs should be taken on a spring which has been removed from your trampoline. You should measure the whole spring, hooks included.